The four circus lions from Bolivia -- Simba, Bambek, Daktari and Camba -- arrived in San Andreas at 3 a.m. on Friday, May 28, after a very long journey by plane and truck. They peered quietly out of their crates as we peeked in to check them before Ed Stewart, PAWS director, started the big forklift that would move the heavy crates into position next to the doors of the lions' new home. ADI's Tim Phillips and Jan Creamer, the Animal Defenders International crew and CSI actress Jorja Fox, the spokesperson for ADI's lion rescue, assisted Ed and Pat Derby in unloading the crates into the lion's den area which Pat and the PAWS' staff had enhanced with pine trees and huge logs. After the first crate was deposited with Simba inside, all four lions began to roar, calling to one another for reassurance. The exhausted crews moved quickly, scattering straw about the enclosure and shifting the crates up to den doors so the lions, who clearly did not like being separated, could be together. As the sun began to rise, the lions were released into separate den areas while the crates were removed from the area, and, finally, the gates were opened and the three males were reunited. Camba, the female who has been kept separated until all the animals can be neutered, hugged the common fence pushing her body into Bambek, the older male. Suddenly, the three males began rolling around in the fragrant alfalfa hay, and then raced around the big enclosure sniffing the pine trees, urinating profusely, and somersaulting over the branches to jump on an unsuspecting companion. Camba chased the three up and down the fence line, wearing pine branches and hay on her head. Sadly, we realized how spacious that small den area was compared to the metal boxes that had been their home for most of their lives. We were all anxious to release them into the big habitat. The three males fell asleep on top of each other against the fence next to Camba until we arrived hours later with camera crews and friends and prepared to release the lions into the huge sunny hillside habitat with trees, logs and lots of vegetation. At 11:30 a.m. Jorja Fox opened the gate for the male lions who were so busy watching Camba play with pine branches they ignored us. After several attempts, we decided to release Camba first. After all, in lion society, the female is the smartest, leading the hunt and feeding the babies as the lazy males watch from a distance. As Camba bounded out of the gate, the anxious boys found their gate and followed her out to freedom. They spent most of the day running up and down the hill, stopping just long enough to rest in the shade of the oak trees. The next day, Saturday, they were obviously sore from all the unusual exercise. Saturday, the tigers in the adjacent habitat were stalking their new neighbors and roaring over the fence. 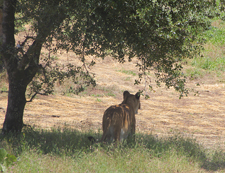 The lions roared back, and long conversations developed between the two species, almost a big cat welcome wagon. The lions from Bolivia were home and had become the Pride of San Andreas. They chose to sleep out in the habitat that night, gazing up at the stars for the first time in their lives. 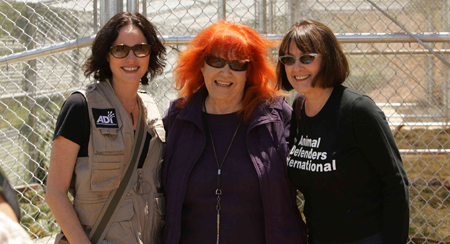 A big thank you to Bob Barker, Jorja Fox and Animal Defenders International for making this possible! Welcome home Simba, Daktari, Bambek and Camba! ADI's "Flight to Freedom" daily video diary. To view the lions' entire journey, including their arrival at San Francisco International Airport and ARK 2000, click here! Jorja Fox prepares to open the gate separating the lions' den area from their habitat. For the first time in their lives, the Bolivian lions will know what it's like to walk on grass, rub against trees, roll in the dirt and run. very special thank you to Bob Barker! With incredible financial support from television icon Bob Barker, PAWS and Animal Defenders International (ADI) have completed construction of a spacious natural habitat for four circus lions that ADI has rescued from Bolivia. After successfully securing a ban on the use of live animals in circuses in Bolivia, ADI agreed to take the lions who will no longer be forced to live in small crates. The lions will be released at PAWS' ARK 2000 sanctuary in San Andreas, CA Click here for Stockton Record Article on the lion arrival. The heroic crew of ADI rescuers accompanying the four lions on a charter aircraft from Bolivia to San Francisco airport will arrive Thursday, May 27, with their precious cargo, and after a short rest, make the journey to ARK 2000 by truck. 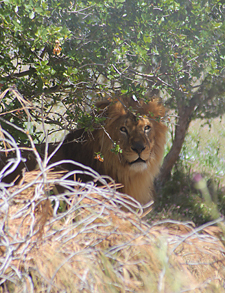 Click here for NY Times Bay Area Blog about Bolivian Lions move. 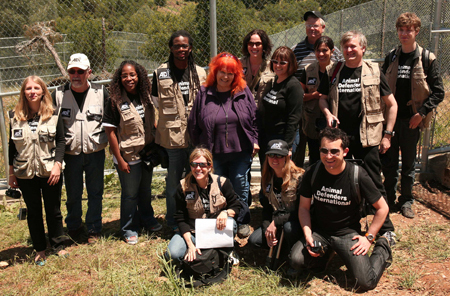 Bolivia rescue video diaries are online now.Click here to view the diaries. To Watch a video of the Lions in their new habitat at ARK 2000 click here. 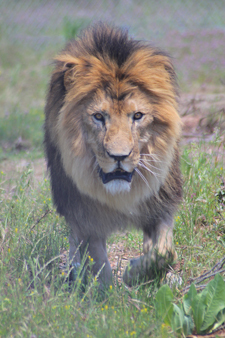 E-News on lion arrival click here. To read media coverage of Lions Arrival click here. 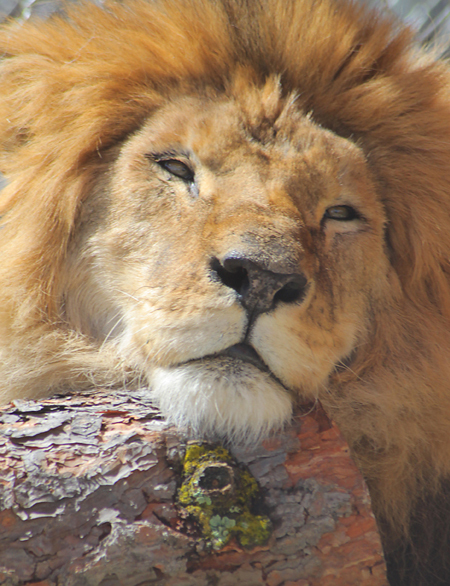 The cost of care for the Bolivia lions has been assumed by Animal Defenders International (ADI). rescue, the costs of care are usually left for PAWS to fund. Thank you ADI for your commitment to the lions. 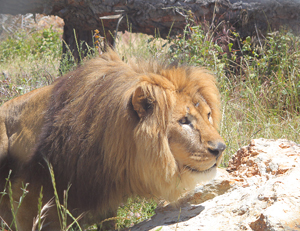 To adopt a Bolivia lion, please check the ADI web site here. To adopt any of the other PAWS animals, click here.